“Grace” is much more than just a definition! 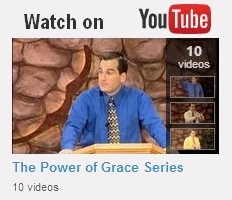 In this series, we will discover how to apply grace in our everyday lives. We will discover how to recognize whether a system of self-righteousness or self-justification is at work in our lives which in turn produces the trappings of pride and condemnation. God's grace, which is also His power and ability, has been made freely available to us because of God's goodness, not our goodness. Through what Christ accomplished on the cross, we can live our lives based upon His power and grace instead of looking to our own abilities or performance, which will always fail. Through His grace, we are enabled to be victorious in this life, victorious over temptation and enabled to be fruitful in our relationship with God. In Christ, freedom is ours! The Outline file below contains each lesson for this series. Right-click or control-click on 'Outlines' and then follow (step 2) above for the appropriate browser.